World Squash Federation President N Ramachandran has expressed his confidence that, despite losing out on a place in the 2016 Olympic Games, Squash is highly regarded by the International Olympic Committee. Mr Ramachandran, accompanied by WSF Secretary-General George Mieras, met IOC President Jacques Rogge and Christophe Dubi, Head of the IOC Sports Programme Commission, on 3rd December in Lausanne to review the sport’s position on becoming an Olympic medal sport. Invited by President Rogge to give his views on the recent bid and the future, President Ramachandran said he wished to speak plainly about the acute sense of disappointment felt by the entire squash community at the outcome of the 2009 bid. Ramachandran stressed, however, that this was now in the past and that the most important message to convey was the wish of Squash to try again, to seek advice from the IOC as to what might be needed and foster the good relations built up still further. The IOC President welcomed the plain speaking: “Mr President, I like your style,” responded Rogge. Dr Rogge was adamant that the 2009 bid process had been utterly clear since the July 2007 Guatemala IOC session and that criticisms of the IOC in this respect were misplaced. He, too, though wished to move on and welcomed very much the commitment of squash to continue to try. The IOC President outlined the process ahead: a list of International Federations of quality to be included in the next bid in 2013 would be established by the IOC in 2011, and would include the core sport to be dropped. 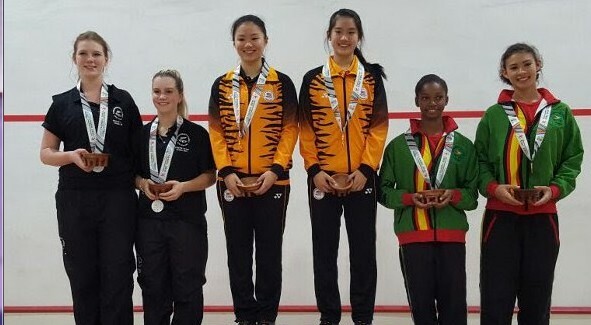 “We were very pleased to learn from the President that Squash will be on that list,” said Ramachandran. President Rogge then asked Mr Dubi to give Squash an idea of areas in which the sport’s case might be strengthened. “We received some very clear advice relating in particular to development of the game worldwide and broadcasting,” said the WSF President. 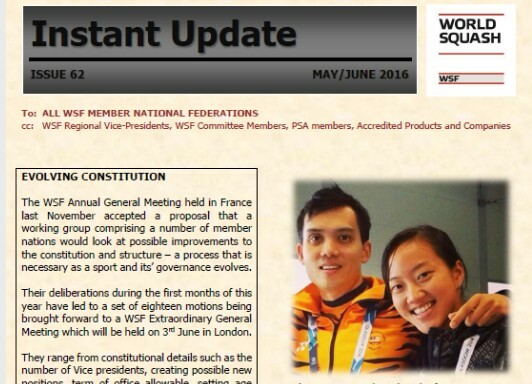 “An offer of help by the IOC was made, and gratefully accepted, and the WSF Management Committee will immediately set about planning our strategy for these next years – in association, of course, with PSA and WISPA, building on the vital unity established during the 2009 campaign,” added Ramachandran. At the conclusion of the meeting President Ramachandran was delighted when President Rogge accepted his invitation to visit the new state-of-the-art squash facilities in Delhi whilst at the Commonwealth Games next October. President Ramachandran was pleased with the outcome of the Lausanne session: “It was one of the most satisfactory meetings I have attended. “We have clear guidance. Furthermore, I believe that we are highly regarded as a sport, scoring highly in most key criteria – including universality and the commitment of the athletes to our becoming an IOC medal Sport. “I truly believe that we can now progress our case further, giving us a real chance of success. In my time as President, we shall do everything possible to ensure that we achieve this,” concluded Ramachandran.